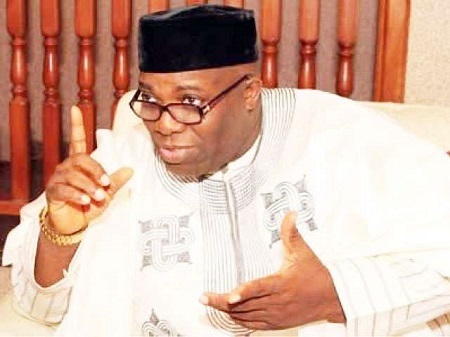 The former Special Assistant to ex-President Goodluck Jonathan, Doyin Okupe has reacted to the emergence of former Vice President, Atiku Abubakar, as the presidential candidate of the Peoples Democratic Party, PDP, in the 2019 general elections. Atiku scored 1532 votes to defeat his closest opponent, Aminu Tambuwal, who polled 693 vote and Bukola Saraki at 317votes. Okupe, who is the Chairman, Media Committee of Abubakar Bukola Saraki Presidential Campaign, in a post on his official Twitter page said Atiku defeated other aspirants because of his plans for restructuring. He noted that Atiku’s declaration as PDP Presidential candidate was a deserved victory owing to his advocacy for restructuring. Okupe wrote: “Atiku won a deserved victory.It was not just about money rather it was a victory for restructuring.